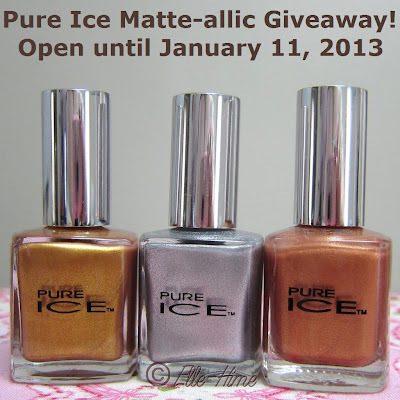 Princessly Polished: Pure Ice Matte-allic Giveaway! Hello, everyone! 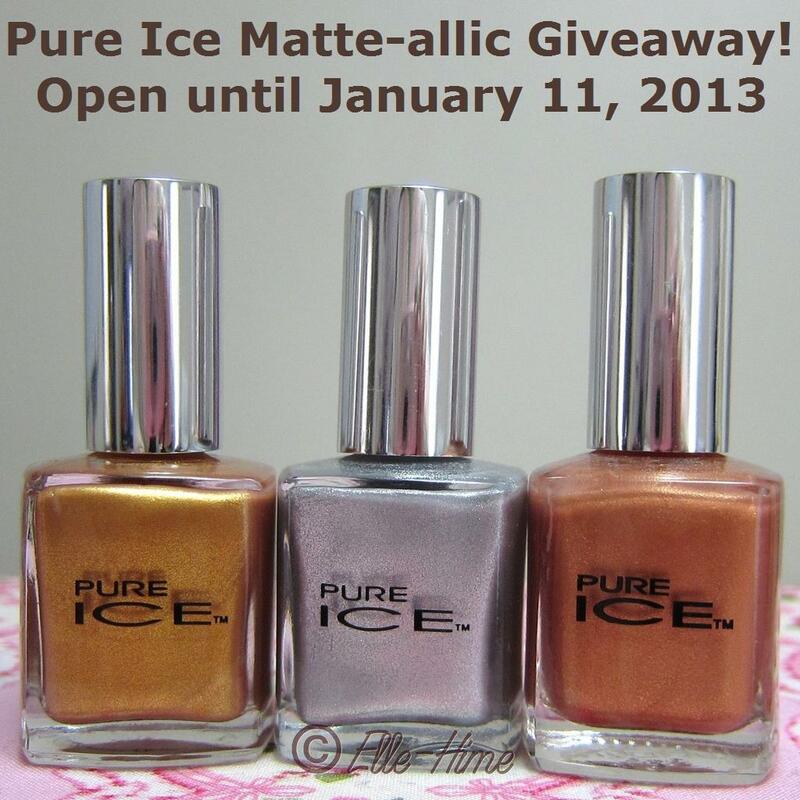 I found some of the limited edition Pure Ice polishes locally and thought I should share the wealth! I'm keeping this giveaway post short and sweet, so let me tell you about the prize and then you can get on with entering! These are from Pure Ice's "velvet" or "suede" finish line. They made it sound like these had an actual fuzzy texture to them once they dried, but let me assure you that these dry smooth and are easy to work with. What is special about them is that they dry to a shine-free matte finish, and because they are shimmery metallics it looks textured. They dry fast and have good coverage at two coats, and you'll be about to give your nails a different look by adding topcoat! I had to grab my own bottle of the silver and Blue Midnight, so count on seeing some nail inspiration posts before the giveaway is over! 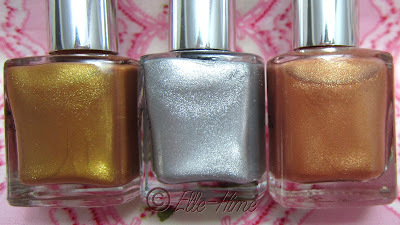 ♥ This giveaway is open to all my followers with a US mailing address, new and old! International followers, I'm sorry to exclude you. However, if you have someone within the states who can receive your prize I'll be happy to mail to them for you! All entries are recorded using Rafflecopter, and falsified entries will be removed. You're welcome, thanks for following!